I want to congratulate two friends, Christopher Spitzmiller and Harry Heissmann, on what has to be a dream come true: to be featured in the pages of Architectural Digest. The magaine's July issue features Christopher's upstate New York house, which he has been working on for years. (I should know. I feel as though I went through the renovation with him, if only by phone.) A relaxed counterpart to his urbane Manhattan apartment, Christopher's house is casual and cheerful, and yet, thanks to its well-thought-out traditional décor, it manages to be rather elegant, too. Helping Christopher to achieve this sometimes-difficult balance was Harry Heissmann, Christopher's friend and design collaborator, who assisted with the decorating. The house is filled with references to Albert Hadley, which isn't surprising considering that both men considered Hadley to be both mentor and friend. But what I might admire most about the house is how it exemplifies true-blue American style. It's down-to-earth and relaxed, and yet, it's charged with exuberance and optimism. What's more American than that? 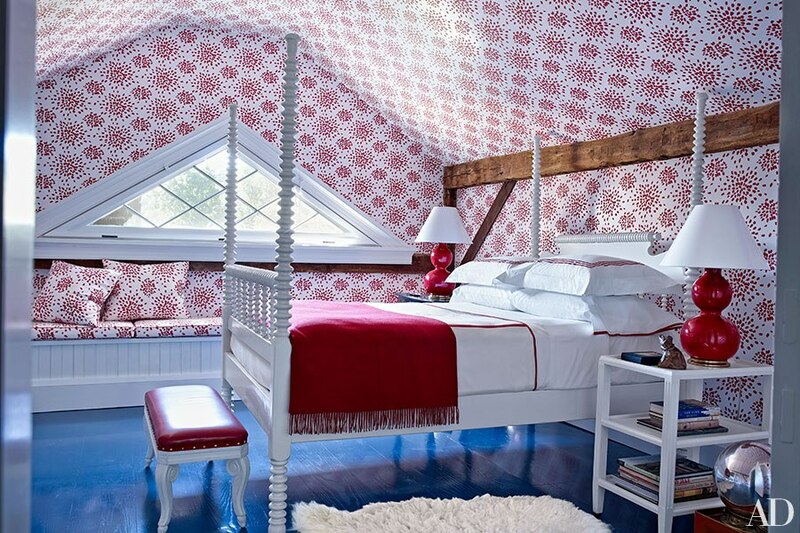 Photos from the July issue of Architectural Digest, William Waldron photographer. 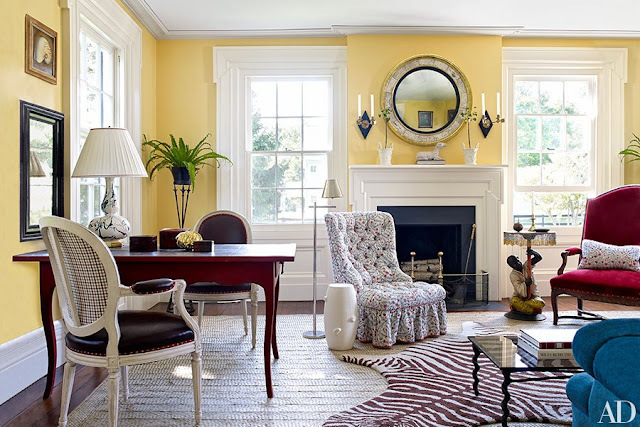 The exterior is marvelous, and I love the light and bright living room - love the yellow. But the room needs comfortable chairs on each side of the fireplace, and in the winter (I'm assuming this is a year 'round country house), those curtain-less windows (not even any blinds!) would feel harsh and cold. I would consider this house still a "work-in-progress". The home looks to be perfection! Charming. Thanks for sharing! Thank you for this wonderful post!!! It's been a long journey but I learned a worth while one. It's been great to have your support and friendship along the way!